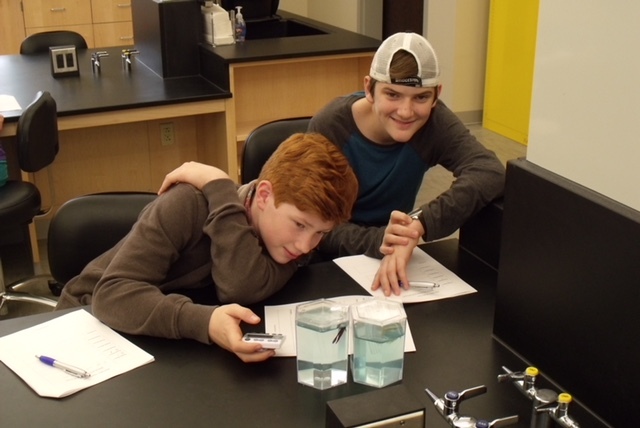 As part of this semester’s Home School Science Discovery Program, Dr. Steve Murfree, biology professor, once again hosted “Experiments in Animal Behavior.” This session, designed for grades 4-8, immersed students in the application of the scientific method in order to learn about beta fish. Each group of students designed and conducted a unique experiment after learning about beta fish behavior through designed experiments. The Home School Science Discoveries program, a community outreach program in the College of Sciences and Mathematics, was started in response to Dr. Murphree’s long-running summer day camp, Beetles, Bugs and Butterflies. The program is open to home schooled students of various ages, and due to limited space, participation is on a first-come basis.